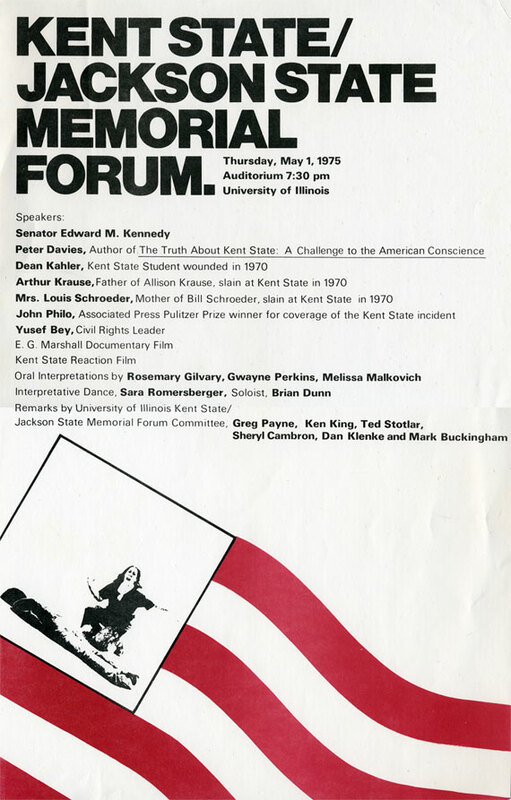 Kent State: NovaNET - A comprehensive learning guide to the history of the May 4 shootings with interactive curriculum in two lessons. Directions: Windows users can download the Zip file by clicking the link above. For Windows XP users: open the file in My Computer by double clicking on it. On the left menu, select "Extract all files." Run the file "KSmenu.exe" and begin the lessons. Older Windows users will need an unzip utility such as WinZip (a free evaluation copy is available on their website). Jeff Miller memorial speech - A 2004 memorial speech Dr. J. Gregory Payne gave at Plainview High School for the dedication of a memorial for Jeff Miller who was a student there before going to Kent State.